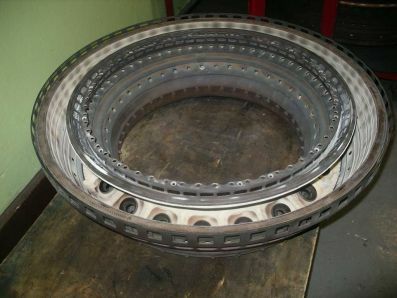 Aircraft engine combuster has been made from 5 panels and all of them has to be TBC coated. 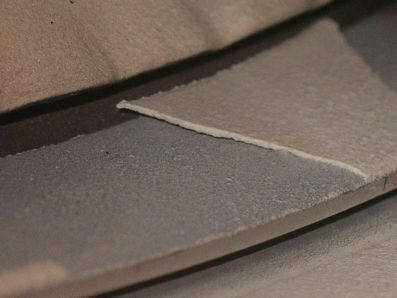 Recently just 1 panel's TBC ( 360 degrees ) has been disbonded completely after engine testing, while bond coat was in place and at good condition. We have already performed all quality tests requested by OEM manual. Is it possible to post more info on the coating system, equipment and spraying procedure? Also a good description of the failure or results from any failure investigation would be helpful. I appreciate that you may not be comfortable or allowed to post too much information on a public forum, but the quality of the information you provide may be reflected in response. We use 9MB gun and robotic system for this coating. Applying condition, part is rotated on the turntable and gun is moved on the vertical position. So all panels are coated at the same time. 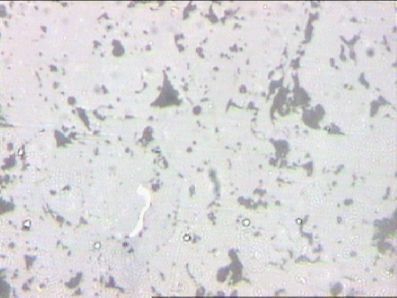 This means that microstructure of coating of all panels must be same. Test panels are fixed on the part during the applying coating.When we inspect the microstruture, we didn't eee any problem. There was some porosity, but as known this is the characteristic of ceramic coting and it was in the limits given in the manual. Also tensile bond value was two times more of given value.It was interesting that only one panel had seperated. We tried to seperate the coating on the other panels by chisel and hammer but we didn't succeed it. At the other side, we coated 210 combustion chambers and every chambers has 3 parts 210x3=630 parts, We didn't see this type problem up to now. I know that generally thermal stress causes of this problem, but why there isn't any problem at the other panels. The only thing I can think of at the moment, is that something happened during the period from finishing the bond coat and starting the top coat. Contamination of the bond coat prior to top coating could well cause this type of problem. i suppose the debonding happen at the last panel or the first panel. What Gordon said is absolutely right! It could due to contamination caused by handling or during in-process inspection. Bare hand touching could also be one of the problem. Make sure your guys use MEK or other cleaning solution to clean the part if it is touched or if they have concern about the part get contaminated during the spraying process. Your yield is very good, this is a sporadic case anyway. I agree with Alex, but I think an awful lot of care and consideration needs to be made to cleaning grit blasted or bond coated surfaces. Cleaning with a cloth and solvent can in some cases just disperse the contaminants over a larger area and into the coating porosity and actually make matters worse. Best to ensure no contamination in the first place. Accidents will happen and it is at this stage that careful assessment is required, if in any doubt, remove coating and start again. Sometimes it is advisable to look for problems outside the actual spraying process. (remember human behavior and shut mouth). on your upper Fig. i see, that one side of the top coating extends over the base material,(coating over spray? ), and that side passed separation. What is about top coating thickness? Is it in tolerance? Looking at the photo again, I think volf has made an important observation. Is this normal and are all the other panels/components the same? - always when you have a problem, check the totality of surrounding factors. - was there any abnormal factors involved in the problem situation. - was it for instance a demonstration case for new customers. - if yes, was an order given to secure that everything is perfect. - the whole setup tested, all panels blasted (to save time). - then someone reacted to dirty windows and ordered cleaning. - while cleaning some media was splashed on this panel. - no one have the courage to admit it. - so now we are trying to solve your problem in SEF.